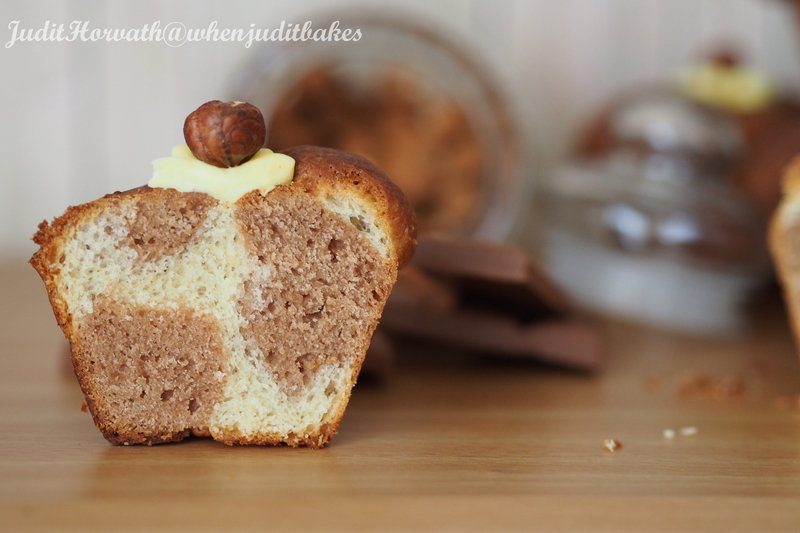 Chocolate and Hazelnut Battenburg Brioche-Muffin | When Judit bakes...bread and better.. There are many stories about the popular English cake, which is composed of alternating coloured slabs of tasty sponge enclosed in a special dress of marzipan. When cut it looks like a drawing of a window, which is probably the reason why it is also known as ‘Chapel Window Cake’. The most commonly told tale with regards to its origin is that the cake was created to celebrate the wedding of Prince Louis of Battenburg to Queen Victoria’s granddaughter Princess Victoria in 1884 . There is also a theory that the four sections of the cake originally represented the four Battenburg princes – Louis, Alexander, Franz-Joseph and Henry. The story is charming and somewhat believable, however, the earliest recipes for the Battenburg Cake all call for nine squares rather than four that are found in modern versions. One of these early recipes was published by Frederick Vine, one of the most eminent professional bakers and confectioners of his day, in 1898 in his book Saleable Shop Goods. Not only was he the author of numerous books, but was also the editor of the leading trade magazine at the time, The British Baker. In his Battenburg recipe, he clearly tells to create a cake with nine sections, alternately coloured red and white. He illustrates the finished cake in a diagram. The festive, elegant look of the cake inspired the fusion muffin, Chocolate and Hazelnut Battenburg Brioche-Muffin, making it a perfect companion of a Sunday morning coffee. Pour the milk and yeast into a bowl and stir to dissolve the yeast. 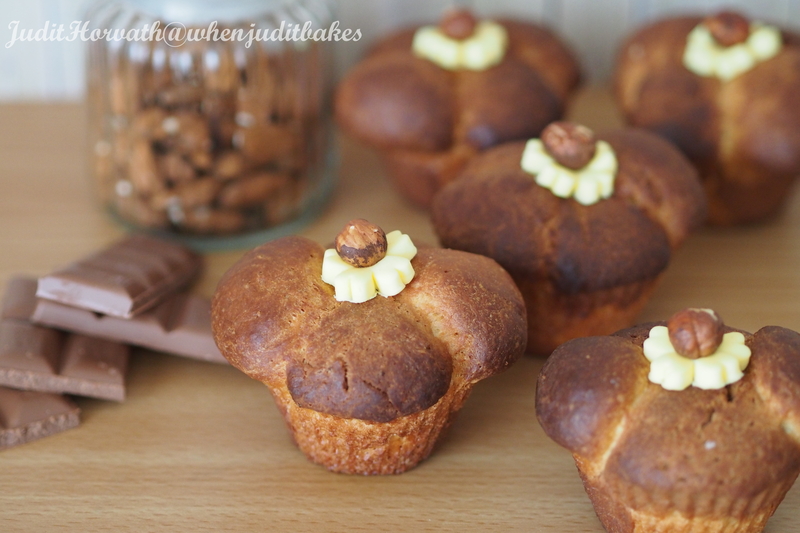 Put the flour, hazelnut, one teaspoon fine salt and beaten eggs into bowl and pour in the milk and yeast mixture. Mix on slow speed to combine and knead the dough for five minutes. Scrape down the sides of the bowl with a rubber spatula, then knead at medium speed for about 10 minutes. By this stage, the dough should be smooth, elastic and combined well. Meanwhile, in another bowl, mix the butter and sugar together. Add a few small spoonfuls of the butter mix to the dough, then with the mixer running at low-speed, add the rest a piece at a time. When the butter mixture is all incorporated, increase the speed and work for six to ten minutes, until the dough is very smooth and shiny and comes away from the bowl with perfect elasticity. Leave the dough in the bowl, cover with a tea towel or cling film and leave to rise in a warm place for about two hours, until the dough has doubled in volume. Repeat the process with the ingredients of the chocolate dough. Once two hours completed, knock the dough back by flipping it over two or three times with your hand. Cover the bowl again and refrigerate for at least six hours (but not more than 24 hours). The dough is then ready to use and mould. 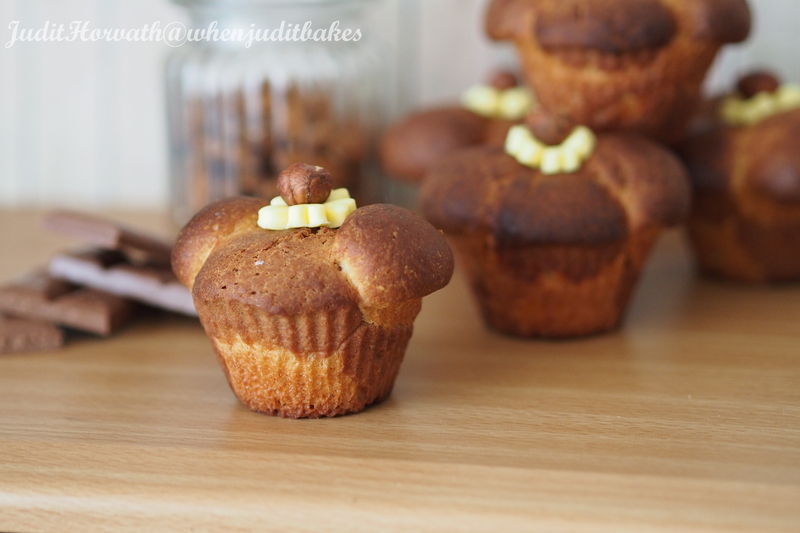 To shape equal sized little balls and place them into well-buttered muffin moulding the typical Battenberg pattern. Lightly brush the dough with egg wash. Leave to rise in a warm place for about one and a half hours, until it has at least doubled in volume. Preheat the oven to 200C/gas mark 6. Brush the brioche lightly again with egg wash. Bake for 15 minutes, then lower the setting to 180 degrees C and bake for another 30 minutes. Leave the brioche in the mould for five minutes. 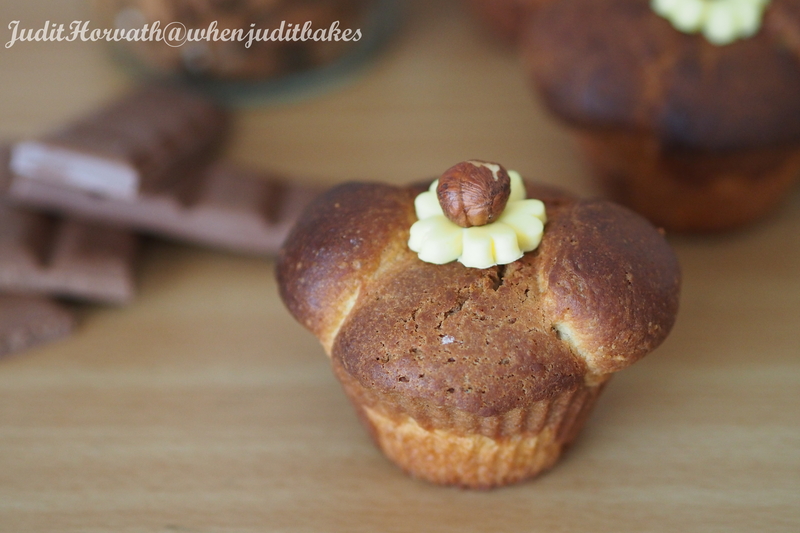 When cooled, to resemble the ‘head’ of brioche and the usual Battenberg topping, place a marzipan flower and toasted hazelnut on top. For extra flavour and oozing softness place a frozen chocolate bonbon in the middle before baking! 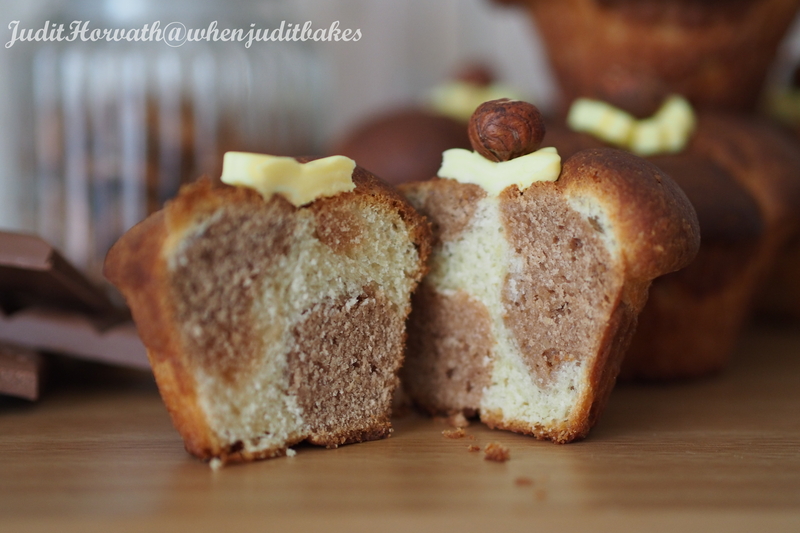 This entry was posted in Baked treats, Bread, Cakes, Flavoured breads, Foraging, Just Everything, Special flours and flavours, Sweet bread, Treats for Life, Yeasted bread and tagged battenburg cake, breakfast, dessert. Bookmark the permalink.